varicose veins are enlarged sometimes twisted veins on the surface of the skin. They are found most commonly in the lower legs, ankles and feet. Varicose veins usually are not serious by themselves, but they often lead to other more serious health problems. 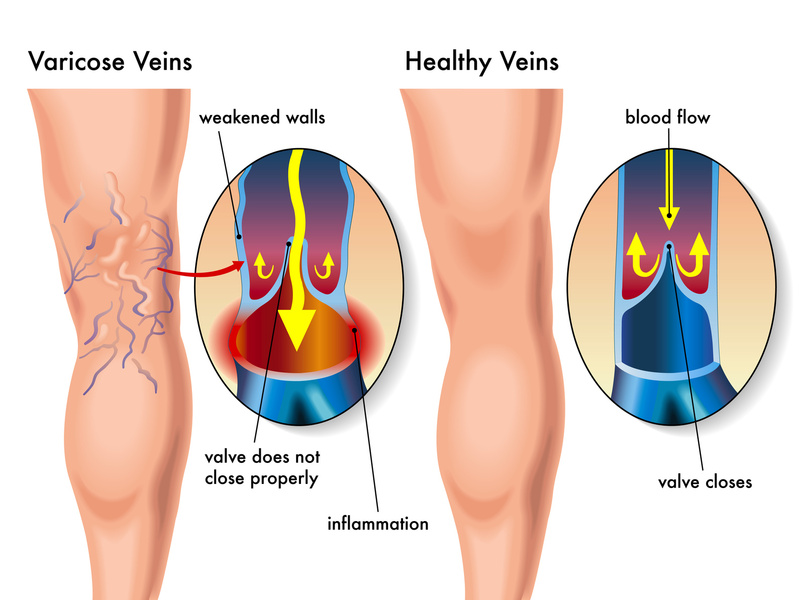 Varicose veins are caused by weakening of the valves and veins in your legs. The body has over 60,000 miles of veins! Normally, oneway valves keep blood that is pushed up the leg by muscles from flowing back down the legs toward the feet. When these valves do not work as they should, blood does not get out of your legs, and the venous pressure builds up. Under normal circumstances it is normal to have low pressure in the venous system and high pressure in the arterial system. Varicose veins are a sign that the venous pressure is increasing in the lower legs. The veins then may become weak, enlarged, and twisted. There is a hereditary component to varicose veins as it often runs in families. Aging, multiple births and occupational hazards also can contribute to increased risk of venous disease. Being overweight or having a job where you must stand for long periods of time increases pressure on leg veins. This can lead to varicose veins. Varicose veins look bluish, are often swollen, and twisted under the skin. Some people do not have any symptoms or recognize the symptoms due to its gradual natural history of development. Heaviness, burning, aching, tiredness, or pain in your legs. Symptoms may be worse after you stand or sit for long periods of time. Varicose veins and their underlying cause are quite treatable. 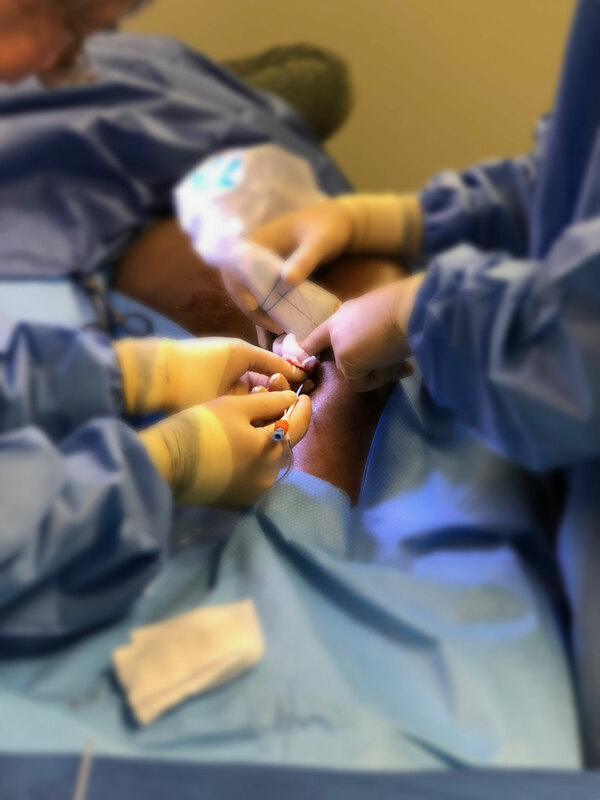 We offer patients a variety of varicose vein treatment procedures that seal off veins with unhealthy valves. Blood circulation then returns to the veins with properly working valves, and closed veins are eventually absorbed back into the body.